The Heritage Center at Red Cloud Indian School hosts the Art Show for ten weeks each summer. All the artwork is for sale, with the proceeds used to support individual artists as well as the work of The Heritage Center. The start of the Art Show is marked with a special opening event will be held on Saturday, June 1. Participating artists will be on site to discuss their work and anyone is welcome to attend. Special Preview and Opening Event: Saturday, June 1, Noon to 5 pm. The gallery is open 7 days a week throughout the summer. The show will remain on display from June 2 through to August 11, Mon–Sat, 8 am to 6 pm, Sun 10 am to 5 pm. All visitors are free to visit the gallery and gift shop during The Heritage Center’s regular hours. Tours of Red Cloud’s historic campus are also available. With the goal of keeping Native art in Indian Country, rather than in museums far from the reservation, Red Cloud Indian School staff purchased three award-winning pieces from the 1969 Red Cloud Indian Art Show. Each subsequent year, they continued to purchase new pieces, and ultimately amassed a diverse and important collection of works by local and national Native artists. The Heritage Center was formed to protect and grow that collection. 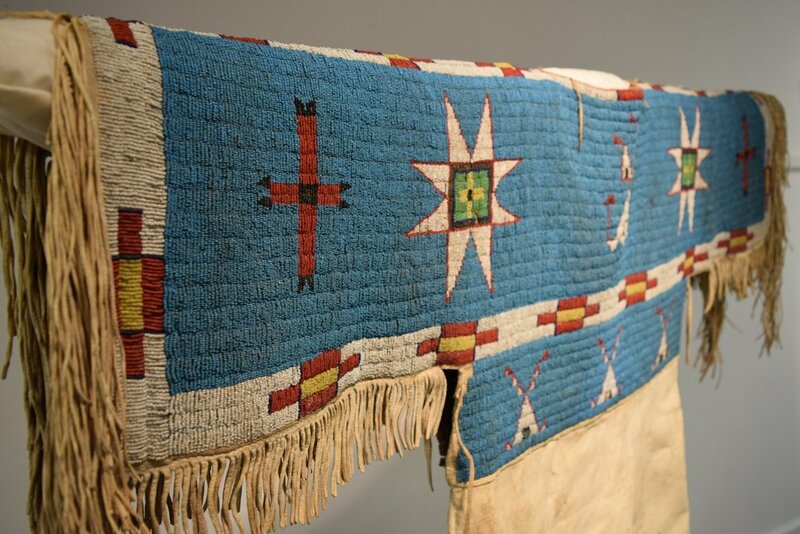 What began with those three early pieces now includes an estimated 10,000 pieces of Lakota and other Native art, from priceless historical artifacts to cutting-edge modern works. 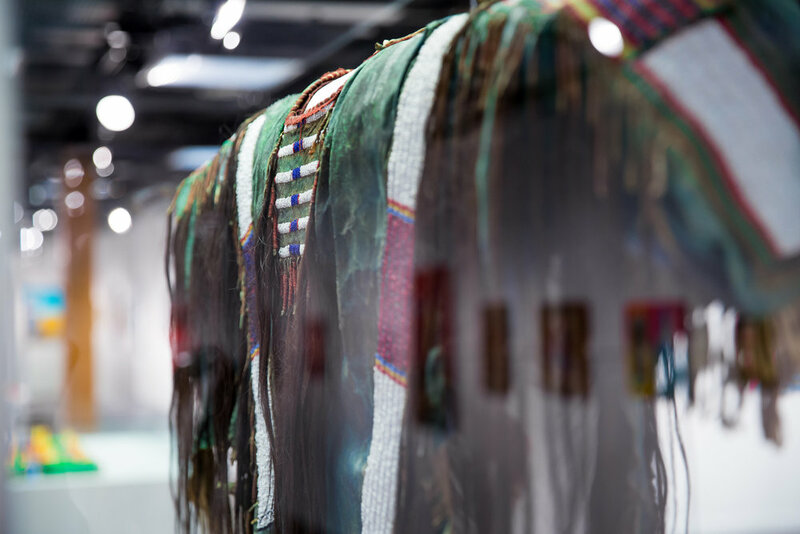 Since its formal creation in 1982, The Heritage Center has continued to expand this unique and diverse collection of Native art—and uses it to create groundbreaking exhibitions and arts education work. The Heritage Center’s mission is to honor Native art and to expand opportunities for Native artists. 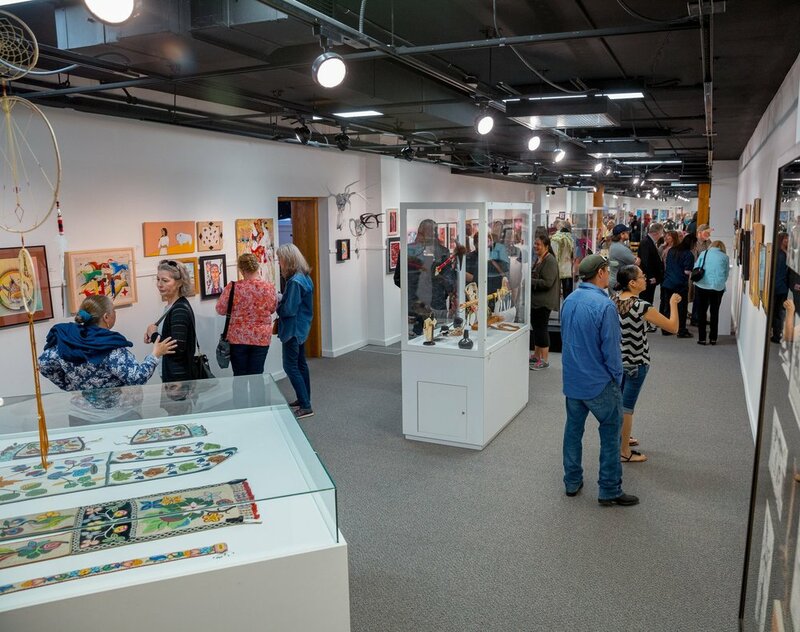 The Center’s gallery exhibitions have brought tens of thousands of visitors to the Pine Ridge Reservation and been displayed in museums across the country. Through its gift shop, the Center purchases and sells works by local Native artists to increase economic opportunity on the reservation and beyond. Also, its team develops innovative, arts-based educational programs to increase the public’s understanding of Native art and Lakota culture. Native American art cannot be defined by one aesthetic, medium, or tradition alone. It is constantly changing, reflecting the diverse cultures and experiences of Native artists themselves. Over the last five decades, the Red Cloud Indian Art Show has celebrated the continuum of Native art—and honored the artists who create it. Held on the Pine Ridge Reservation in western South Dakota, the Red Cloud Indian Art Show is the largest and longest-running Native art exhibition of its kind—and one of only a few held in an indigenous community. Hundreds of artists from tribal nations across North America have shared their work through the Red Cloud show, in categories ranging from painting and photography to beadwork and quillwork. But what sets the show apart is its inclusion of all Native artists. Its purpose is to create opportunities for Native artists to explore their talents and share their perspectives, regardless of their previous exposure to the art world. Grounded in community and culture, the Red Cloud Indian Art Show allows the artists themselves to guide the narrative on Native art and indigenous experience. For any further questions or concerns about the Art Show or The Center, please send us a message. We will do our best to answer your questions and concerns.